There are several significant developments planned in the city, and below is an update on where those projects stand. 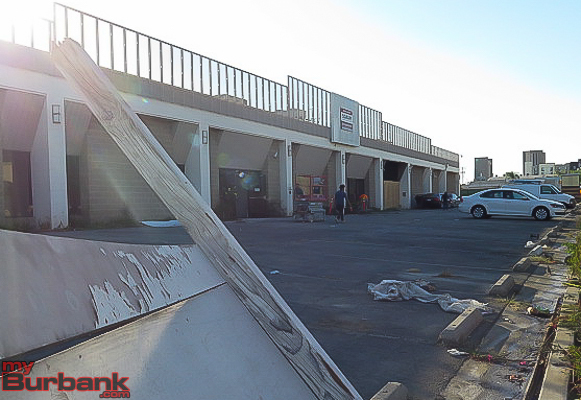 Also included is an update on a smaller project, at the site of a former Conroy’s Flowers. The projects are arranged by their opening dates, which are tentative, and information was provided by the city of Burbank, unless otherwise noted. 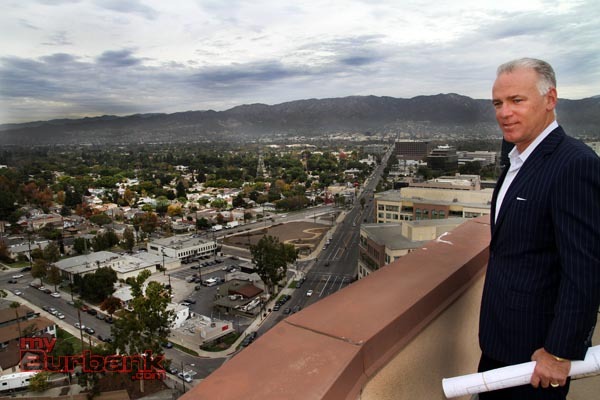 What: A 209-room hotel in Downtown Burbank, about 103,400 square feet. Over the last six years, OTO Development has opened 45 hotels, a pace matched by few companies within the lodging industry, their website states. This hotel portfolio represents nearly $1 billion of invested capital. Today, the company continues its impressive growth with over $500 million in urban new development projects in the Seattle, San Francisco, Los Angeles, San Diego, Manhattan, and DC markets. Location: 401 S. San Fernando Blvd. What: A 142,000 square foot store, purchased by Wal-Mart Stores Inc., in 2011 before the Great Indoors was scheduled to close in the fall of that same year. After years of litigation after the council approved the project, a tentative ruling by the state court earlier this year said the city must make traffic improvements, but that does not preclude Wal-Mart from obtaining a building permit. Location: The former Great Indoors, at the Empire Center, on North Victory Place. What: The existing IKEA in Downtown Burbank is almost 25 years old, and is one of the company’s oldest stores in the Western U.S. When the new store is completed, it will be the largest IKEA in the U.S. at 456,000 square feet. Location: 805 S. San Fernando Blvd. What: A four-story, mixed-use project in the city’s Media District. A Whole Foods store is the exclusive retail tenant on the ground floor and 241 luxury apartments will be built above it. Rents for the apartments have not been set, but apartments will range in size from 900 to 3,000 square feet, and will be one, two or three bedrooms, the developer said. 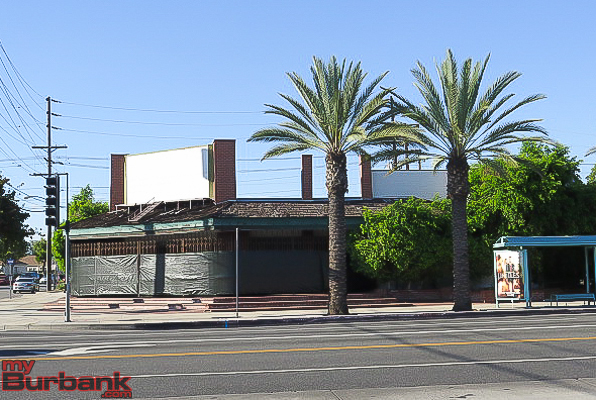 Location: 3401 W. Olive Ave.
What: In a former Conroy’s Flowers, a cafe called California Eatery, and a two-story office building and medical office were approved in February 2014 by the Burbank Planning Board. Location: 2411 W. Burbank Blvd. Construction Start Date: Unclear, although the city says the plan still includes a cafe, by the same owner. Calls to Mr. Sim were not immediately returned. What: A residential and retail project consisting of three, five-story structures for a total of 283 apartments, with about 13,765 square feet of combined retail space on the ground floor. Construction Start Date: The application is currently in Development Review and an environmental document is being prepared at this time. City staff anticipates presenting the project to the Planning Board sometime in the first quarter of 2016. The Nickelodeon expansion is currently under construction and city officials said it could be completed by Summer 2017. 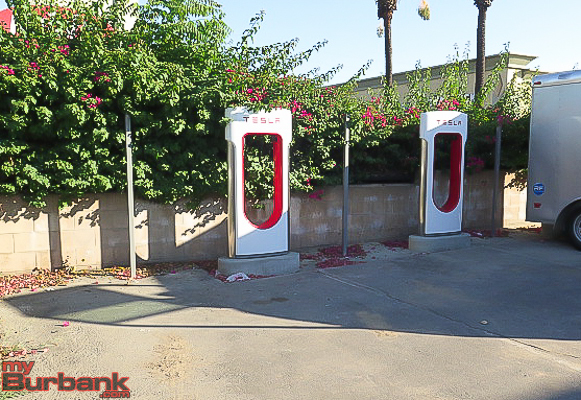 Tesla Motors is moving into the space at 811 S. San Fernando Blvd. ; tentatively scheduled to open in October. This entry was posted in Business, City of Burbank, News and tagged City of Burbank, New business on September 28, 2015 by Staff.